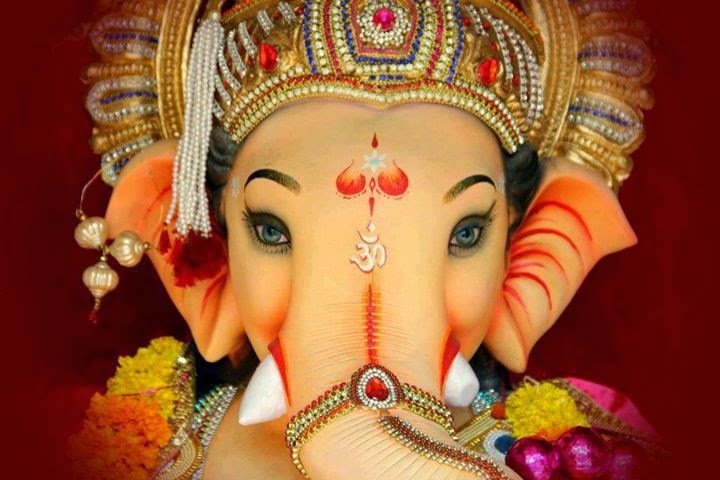 Ganesh chaturthi or Vinayaka Chaturthi is going to celebrated on 17th September, 2015. Below is astro uncle has explained how to worship lord ganesha for each rashi (sign wise) (Moon Sign) on the day of Ganesh chaturthi. Aries: You can chant “Gam” mantra and dainty jaggery. Taurus: You can dainty ghee and misri. You have to chant one rosary of “Glam” spell. Gemini: They can dainty laddoo of black gram and chant one rosary of “Shri Ganeshaye Namah”. Cancer: They have to offer white flower’s necklace and do white sandal’s tilak. They also have to chant one rosary of “Om Varday Namah”. Leo: They can offer red color and red flower to lord Ganesh. They can chant one rosary of “Om Sumangalye Namah”. Virgo: They have to offer 21 pairs of Durva grass and chant one rosary of “Om Chintamanaye Namah”. Libra: They can offer Gangajal to lord Ganesh for bath and 5 coconuts. They have to chant one rosary of “Om Vakratunday Namah”. Scorpio: You can offer Sindoor and red flowers to lord Ganesh. You have to chant one rosary of “Om Namo Bhagawate Gajananaye”. Saggitarius: They can offer yellow cloth, yellow flowers and dainty corn flours laddoo. They have to chant one rosary of “Om Gam Ganpataye Namah”. Capricorn: They can offer leaf, betel nut, cardamom, clove. They have to chant one rosary of “Om Gum Namah”. Aquarius: They can offer Panchamrut and black gram’s khichdi to lord Ganesh. They have to donate this in poor. They have to chant one rosary of “Om Gam Rog Mukataye Phat”. Pisces: You can offer saffron and honey and donate sweet food in poor. They have to chant one rosary of “Om Antakrishya Swaha”. You can get rid of by any disease, financial problems, threat, job, business, house, vehicle, marriage, child, promotion etc by worshiping of above spell to lord Ganesh.